Getting a package in the mail is always exciting! 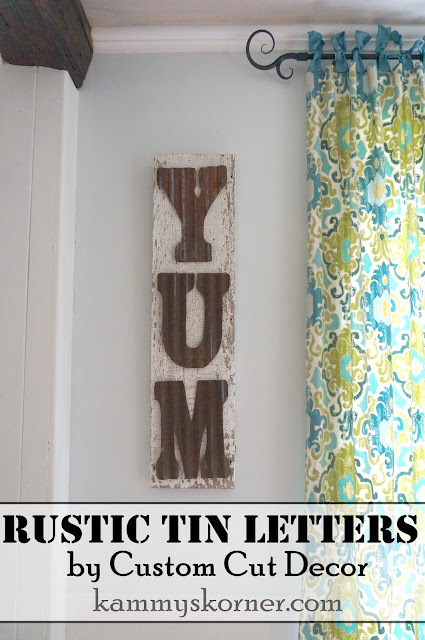 Especially when it's rustic tin letters hiding inside!!! 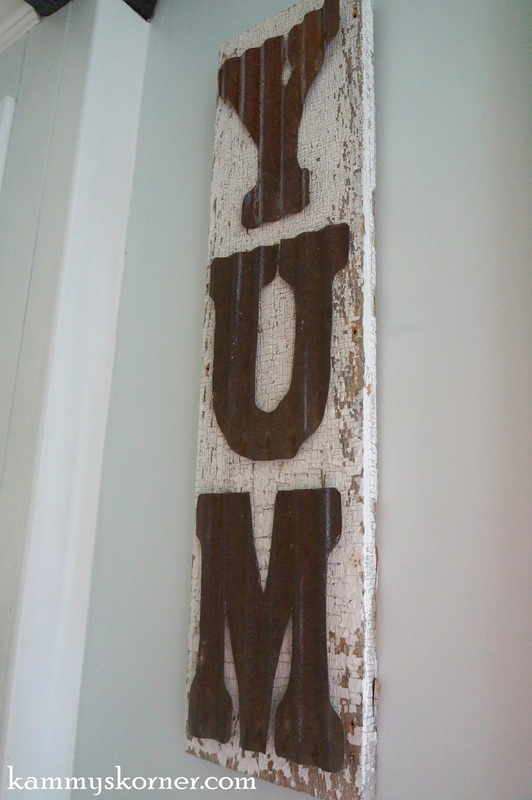 I got my "Y" "U" "M" on Monday from Custom Cut Decor and even though he graciously adds wire to the back of each letter, I ended up using tiny little nails to nail each letter in place on my wood. 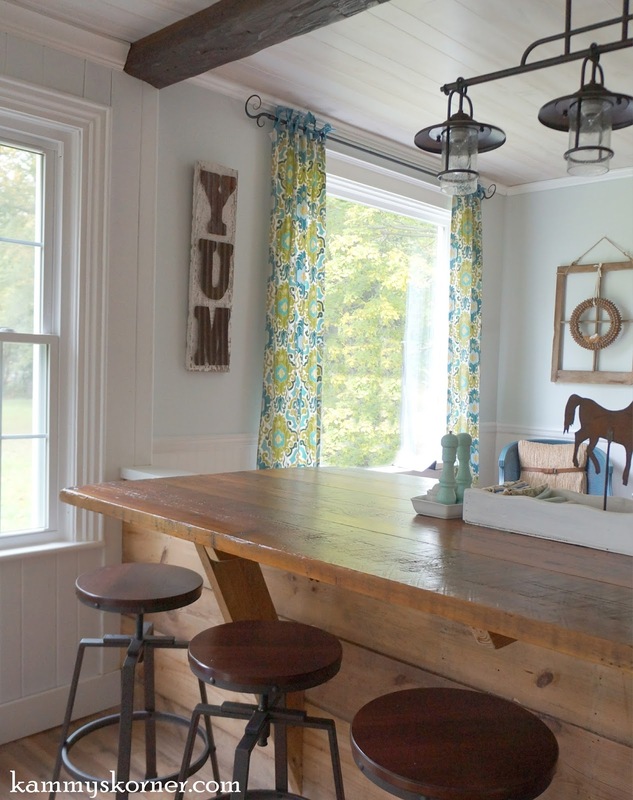 Speaking of wood, I'm so happy this piece of salvaged wood has a story to tell! See the chippy perfection of the old white paint - probably filled my lungs and brain with lead while I cut it down to size with the table saw, but I must not be too brain dead since I still spelled YUM right. So where did this board come from? It was part of the exterior on the old sunroom. I'm so glad I saved as many pieces as I could for projects. While my family is bound and determined to burn all scraps, I'm just as bound and determined to hoard all scraps. 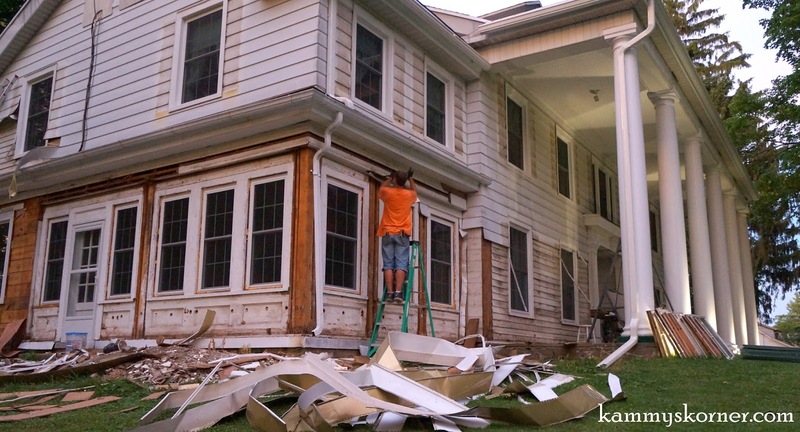 click HERE to see the exterior updates of our house! I love the font of these cut corrugated metal letters. They have just the perfect amount of rust - lots! :) Custom Cut Decor makes all different sizes. These are the 8" x 10" letters. What would you do with your letters from Custom Cut Decor?? I absolutely love this space. Everything about it is wonderfully inviting and friendly. The sign is awesome too:) Great addition to the room. Those are sweet and so is your home! 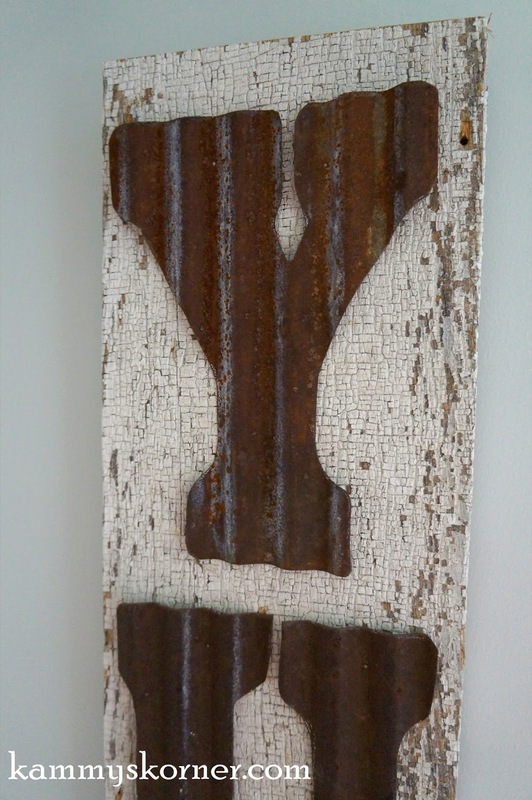 :) No need to convince me that rusty and metal is a good thing...love! TOTALLY gorgeous! I have kitchen/sign/the whole nine envy!! I love the tin letters! They are so awesome!!! The wood was a perfect fit, too. Great job!